On June 1st, 2018, the GASVESSEL project has turned 1 year. The first 12 months of the project have been completed successfully according to plan. You can read more about the progress and outcomes in this article. Below you can find a selection of pictures of the diverse activities that the project partners have engaged in during the 1st year of GASVESSEL. 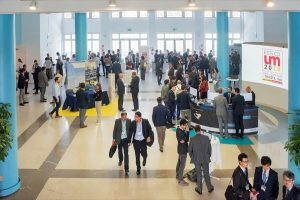 The 8th edition of the ESTECO International User Meeting 2018 on 23-24 May 2018 in Trieste, Italy. 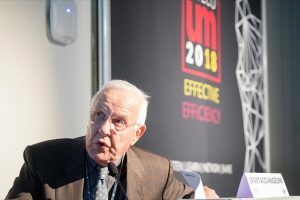 With 47 speakers from Automotive, Aerospace, Civil Infrastructure, Manufacturing, Naval and other industrial fields, three parallel sessions and a roundtable focusing on MDO, the event has confirmed its reputation as a leading forum for sharing innovative optimization applications and techniques. 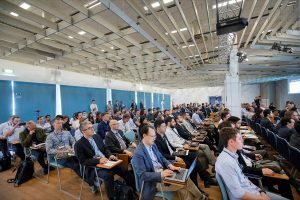 More than 200 participants have attended the ESTECO International User Meeting 2018, including ESTECO staff, GASVESSEL partners, and International customers of modeFRONTIER and VOLTA from academia to industry. 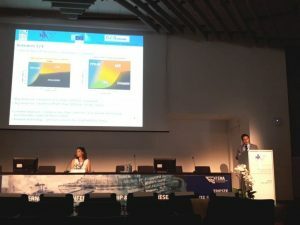 Giving the speech titled “ESTECO Technologies applied in the GASVESSEL project”, Spartaco Angelini from Navalprogetti has presented the GASVESSEL project objectives and preliminary results. Mr. Pierluigi Busetto of Navalprogetti presenting the GASVESSEL project at NAV2018 on 20-22 June 2018 in Trieste, Italy. 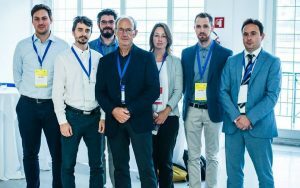 The Navalprogetti team at the NAV2018 conference. From left to right: Alberto Martini, Alessandro Bernardini, Oscar Perosa (in the back), Silvio Stenta, Silvia Dorigo, Gianmarco Teso, Pierluigi Busetto. 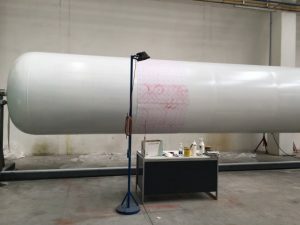 The first liner, the core of the pressure cylinder, built by Gortani srl, has been delivered to the shop of BMPlus and is marked and ready for hydroforming. The image above shows the liner during the “dot marking” stage. A very precise 100x100mm-mesh of dots is painted on the liner to follow the deformation after the hydroforming process. The hydroforming mould at the welding shop, viewed from the bottom. Fabrication and arrangement of the installation area are in progress in order to complete the erection on site and the necessary equipment within July. Commissioning and hydroforming of the first liner will be performed at the beginning of August. 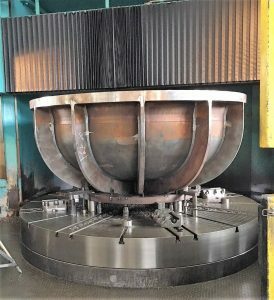 The upper cap of the hydroforming mould at the mechanical turning stage. 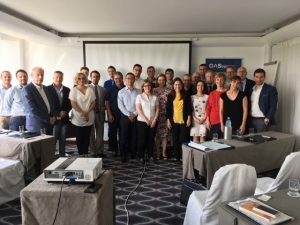 The partners during the 2nd General Assembly of the GASVESSEL consortium. 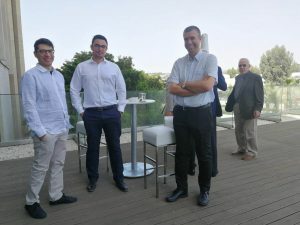 The meeting in Protaras, Cyprus has been attended by 13 members of the consortium. 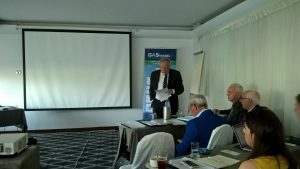 Project coordinator Loris Cok of Navalprogetti giving the opening speech at the 2nd General Assembly of the GASVESSEL Consortium. Left photo: Giovanni Fratti of CNG-V and Nicolas Droushiotis of CHC discussing the Gasvessel concept. Right photo: Rosario Russo (ESTECO), Athos Kleanthous (CHC) and Alberto Clarich (ESTECO) during the consortium meeting.